At the end of October, David and I celebrated our 10 year anniversary. And boy, did we celebrate in style. Despite both being Scottish and having lived in Scotland for the majority of our lives, we have never seen very much of our own country. 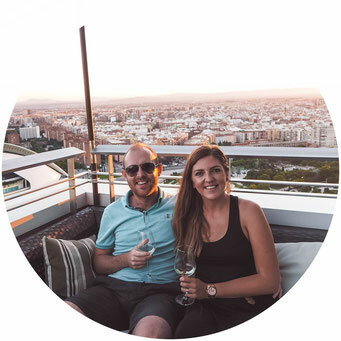 When we moved to Edinburgh last year, we vowed to explore more of our own backyards and from road tripping Scotland to weekends away, we've been able to discover lots of incredible places that were on our doorstep the whole time. Next on our list was St Andrews, a seaside town with a surprising amount to do. From gorgeous beaches, historic ruins to a mouth-wateringly good seafood scene. 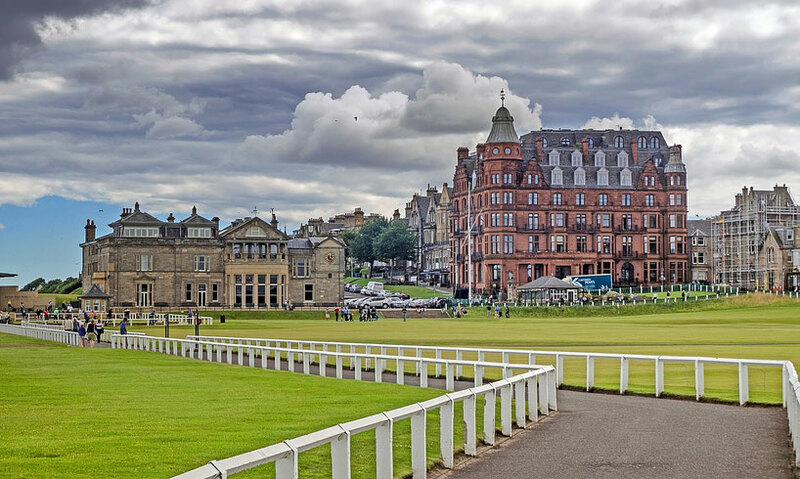 It is also home to the world renowned Old Course Hotel - a five star hotel which overlooks the famous Old Course. For those of you, like myself, who know nothing about golf, the Old Course is one of the most prestigious golf courses in the world and holds the British Open every 5 years where golfers from Tiger Woods to Rory McIlroy have played. 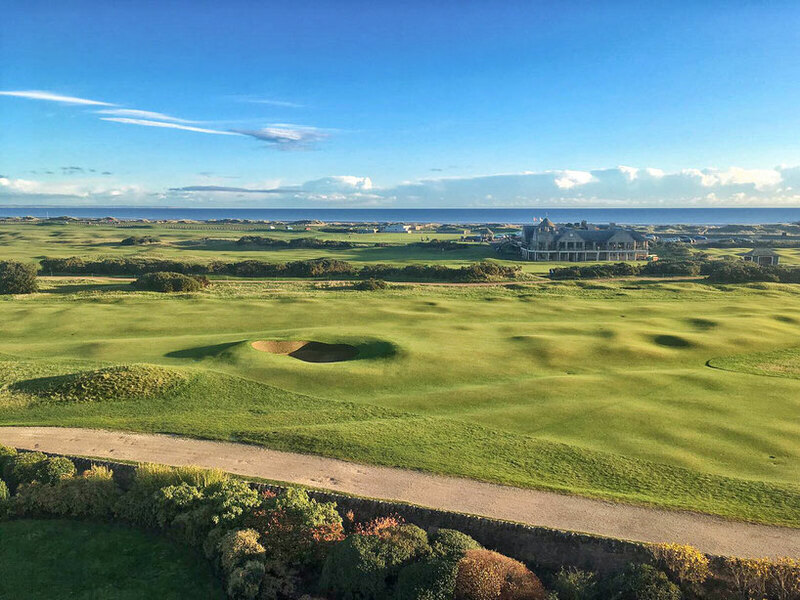 St Andrews has been one of our favourite places we have visited this year, and the Old Course Hotel is it's creme de la creme. 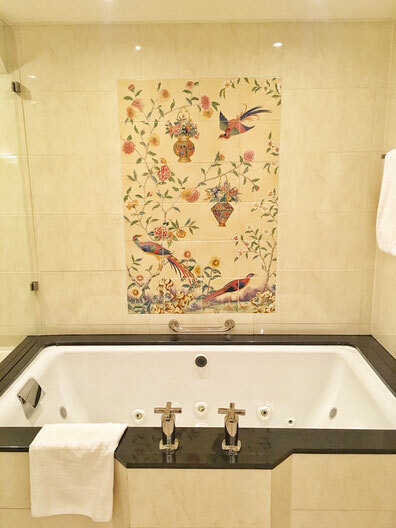 Upon arriving at the hotel, our bags were quickly whisked away to be taken to our rooms and we were welcomed with a bubbling glass of champagne. 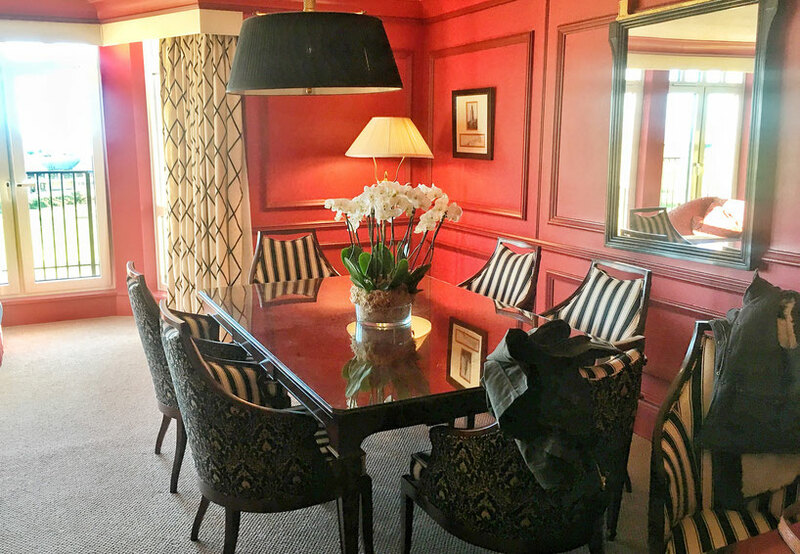 Whilst we sipped on our champagne we met Tom, the concierge who chatted away to us for 15 minutes, explaining everything to see and do in St Andrews, and giving us tips on where to find the best seafood in the town. And Davy, the other concierge who shared hilarious stories from his past career. The check in process was quick and easy, and the staff were incredibly personable. We were then guided to our room once we were ready. 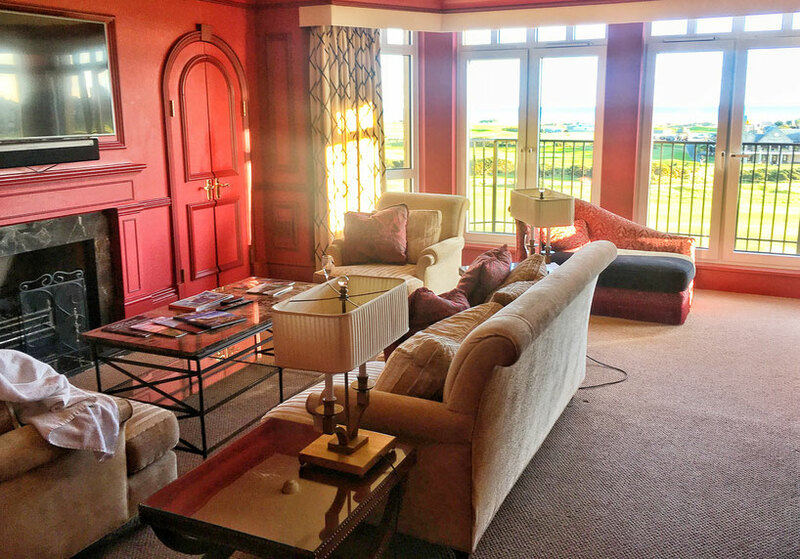 The suite had two bathrooms, a balcony, two flat screen TVs, a separate kitchen area with a mini bar and a balcony so you can make the most of that view. 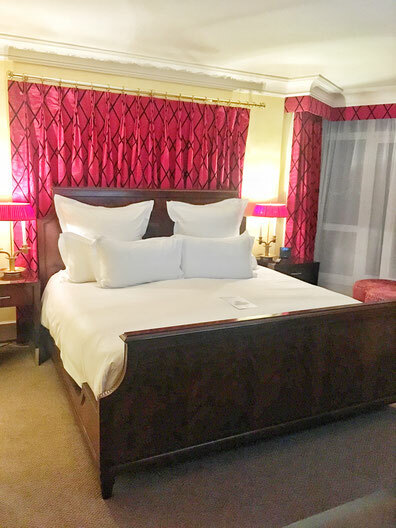 There is also a dining area should you want to indulge in some room service and a bed so big, and so comfortable, if I wasn't excited by the breakfast menu I wouldn't have been able to get out of. 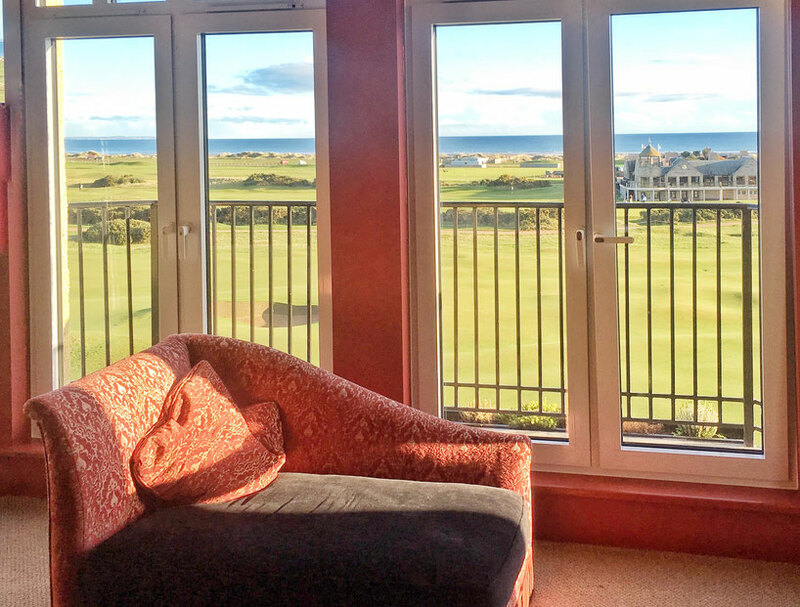 The Old Course Hotel has 6 bars and restaurants, so you really are spoiled for choice. From their fine dining restaurant Road Hole which celebrates great local produce, with seafood being its signature ingredient. To the more causal setting of Sands restaurant which offers delicious food in a relaxed atmosphere. There is also The Jigger Inn, situated at the 19th hole which has a cosy setting filled with log fires; its menu consists of home cooked, hearty food which is perfect after a long day on the course. Their final restaurant Hams Hame Pub & Grill was newly opened in 2013 and has an incredible selection of locally sourced seafood and meat, as well as an extensive drink menu to wash down the meal! For dinner we ate in the Road Hole restaurant which was seriously good, from the fresh scallops with chorizo and apple to the incredible surf and turf; a succulent rib eye steak topped with half a lobster. The meal we had was just delicious and Remi, the sommelier was also on hand to recommend the best wine to suit your dish. We had an immensely friendly and attentive Czech waiter (unfortunately, whose name we never got!) who we discussed our time in the Czech Republic with, and shared our favourite places. He was also able to give us great recommendations on the food. In addition to the food and the service, the setting of the restaurant is simply stunning. 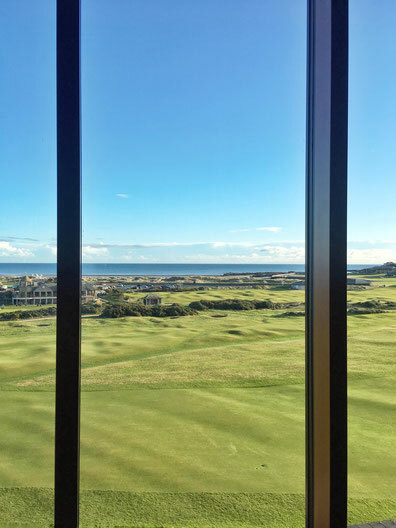 Situated on the 4th floor of the hotel, and with floor to ceiling windows, offering interrupted views over the coastline. This meal was the perfect way to celebrate our anniversary; although I hope we don't need to wait another 10 years to come back! 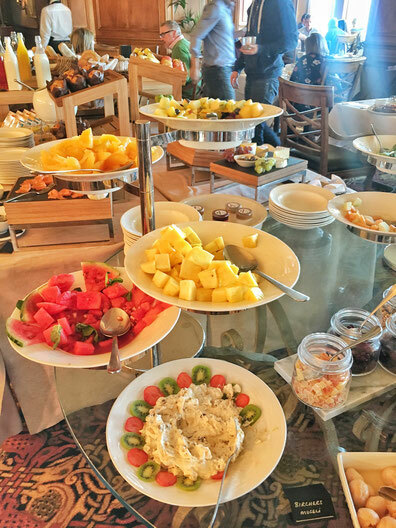 For breakfast, after dragging ourselves out of our suite, we headed upstairs to the restaurant for a delicious start to the day with more incredible views. You have the option of an a la carte menu featuring breakfast favourites such as Eggs Benedict or a traditional Scottish fry up. Or, you can help yourself to the extensive buffet which offers both hot and cold food from breads, smoked salmon and a selections of cured meats & cheese to haggis, fruit pudding, fresh fruit and pastries. We opted for the buffet option as there was a massive selection to choose from. 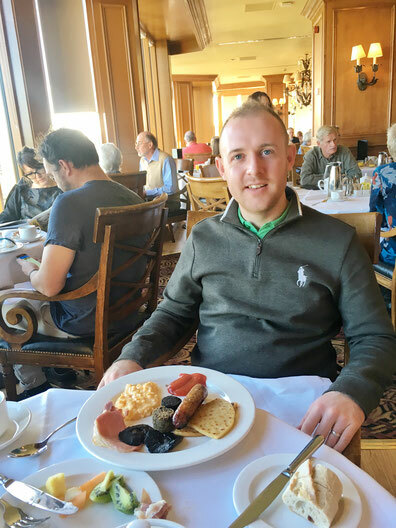 After breakfast, David enjoyed a game of golf on The Duke's Course on the outskirts of St Andrews and I had a wander around town, both feeling fully refreshed after our night of luxury! 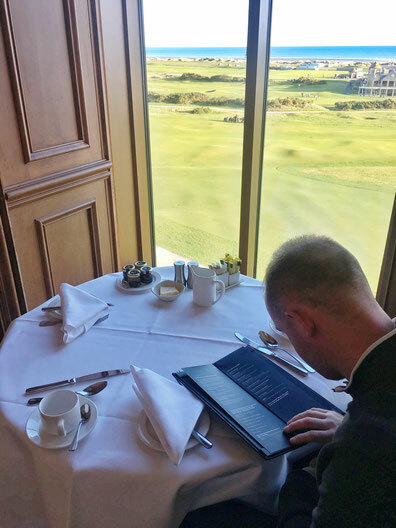 Our overnight stay in St Andrews was the perfect way to celebrate our 10 year anniversary and staying at the Old Course made it extra special. 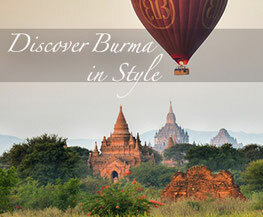 What sets this hotel apart from others 5 star hotels we have stayed in, is the service. 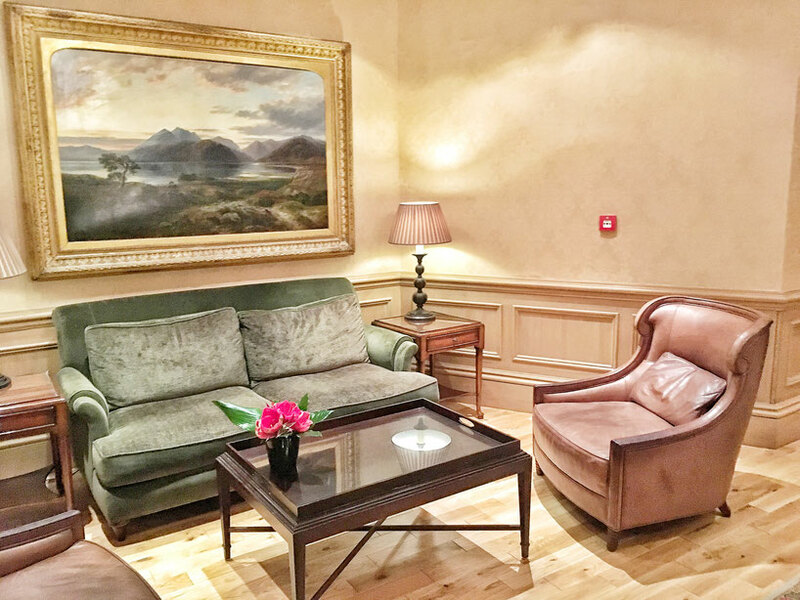 From the moment we arrived at the hotel, the staff went above and beyond - and what made it truly exceptional was that it didn't feel like they were being nice because it was their job. It was more that they had a genuine interest in who their guests were and wanted to ensure they had everything they needed during stay. Not only are your expectations met but they are completely exceeded. This coupled with gorgeous rooms, incredible food and a stunning setting made it the perfect weekend away. Half This World Away would like to say a huge thank you to Lee who organised our stay. We were a guest at The Old Course, but as always, all opinions remain our own.